BURITI FRUIT OIL REFINED is extremely rich in essential fatty acids and carotenoids, including beta-carotene. 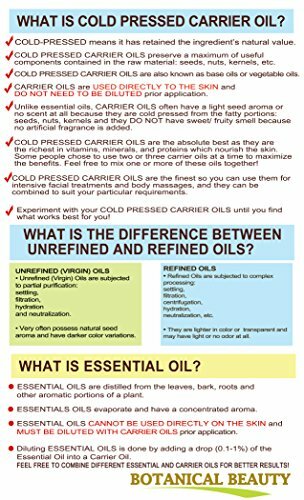 BURITI FRUIT OIL is considered to be one of the richest sources of beta-carotene, with levels exceeding that of carrot seed oil. It is extremely rich in vitamin E, C and has one the richest natural source of pro-vitamin A available. The rich unsaturated fatty acids in BURITI FRUIT OIL help to rebuild, moisturize and re-hydrate skin cells; as well as protecting collagen and elastin in the skin. BURITI FRUIT OIL is suitable for all skin types, especially for dry or mature aging skin, easily penetrates the skin's layers to help reduce the appearance of fine lines and wrinkles. 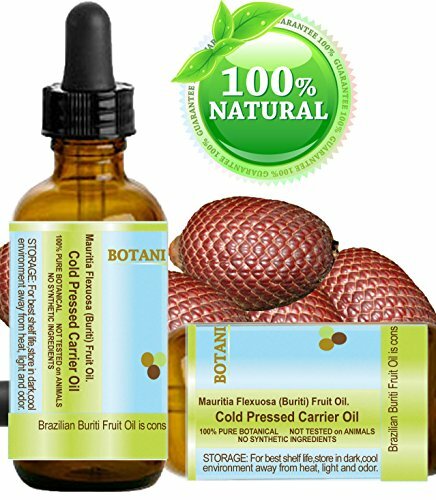 BURITI FRUIT OIL helps damaged skin LIKE BURNS, WOUNDS, CUTS, SCARS. It helps heal dry and cracked skin. BURITI FRUIT OIL has natural sunscreen properties (not SPF). Protects skin from free radicals, increase elasticity and rejuvenate the skin. 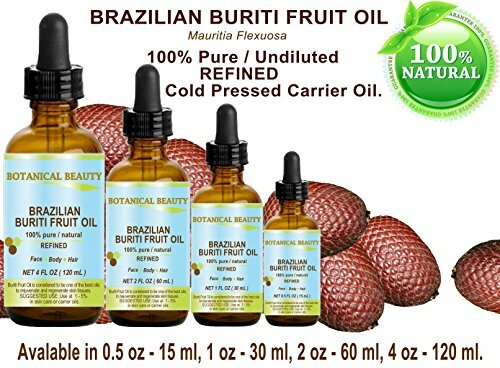 BURITI FRUIT OIL has deep yellow to reddish color it gives an absolutely beautiful glow, natural tan color for skin. 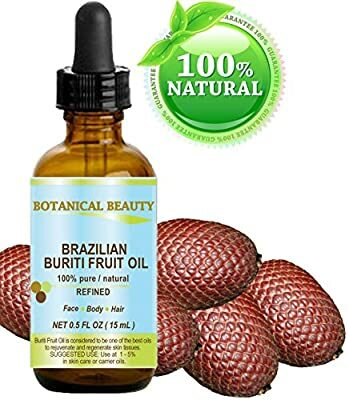 Buriti Fruit oil moisturizes, strengthens, and smoothes the hair; and is an excellent addition to blends for hot oil treatments.